A perfect day on your getaway? We would like to share with you a new "award winning" interactive tool that will help you WORK SMARTER! 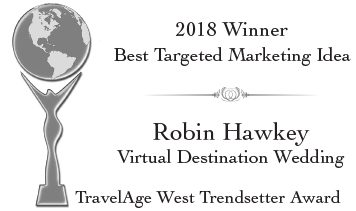 Virtual Vacationing was created for Destination Travel Specialists to use on their clients that have NO idea where they want to go to on their Getaway! The perfect client to use this interactive matching tool, is one that is "all over the map" or says something like, "we dont' know where we want to go, just some place warm and tropical." This interactive tool SAVES TIME, gets Clients EXCITED & ready to BOOK! Virtual Honeymoon software is very intuitive, using scoring + algorithm to search and match destinations...while combining 360*VR techology, we are revolutionizing the way smart agents sell travel. SIGN UP TO BECOME A AFFILIATE & START WORKING SMARTER - NOW!
" 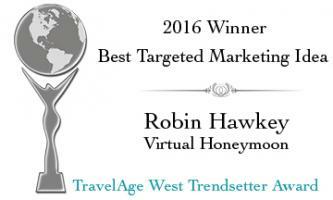 Robin, my most recent bride loved Virtual Destination Wedding! It was fun and easy. She was the perfect VDW user because she did not have a clue as to where, what, price, etc. VDW saved me time and convincing. 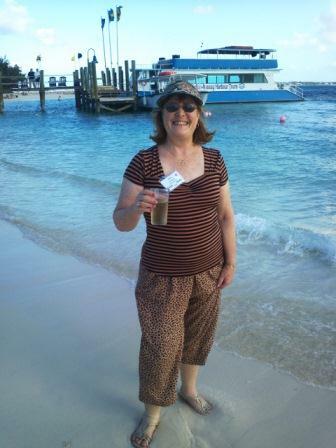 She is all excited now to go to the Mexican Riviera Maya. Its perfect for her wedding dreams, activities and budget. 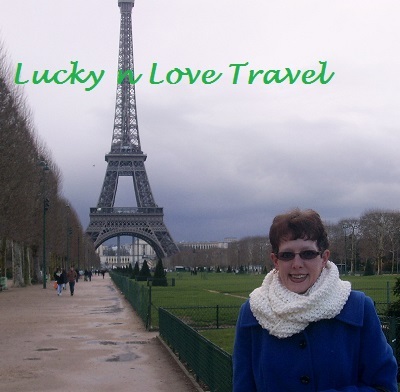 "I love using Virtual Honeymoon customized website for my clients. 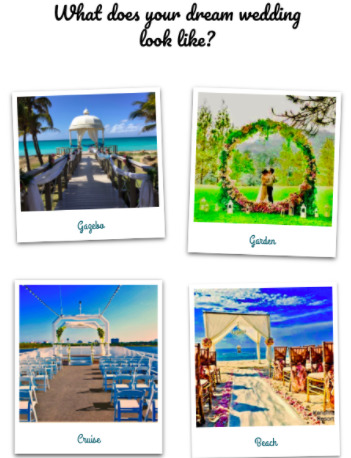 It's always fun to see if a bride & groom come up with the same destination for their Honeymoon or Destination Wedding after taking the fun quiz. Also, like using it on my social media pages to start conversations as the VH quiz is fun for anyone to use. Plus it saves me time in trying to narrow down the indecisive clients. 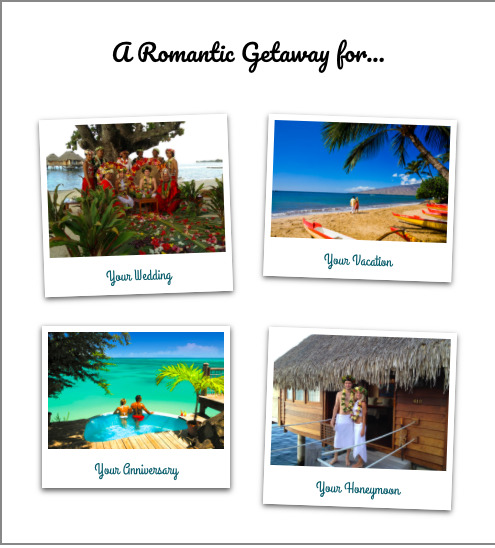 Thanks for creating the Virtual Honeymoon Quiz!" 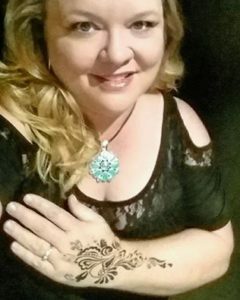 " I signed up with VH after attending the DWHSA Romance Travel Forum in May of 2017, and LOVE how the sight helps my 'undecided destination' couples narrow down the best destination for their honeymoon, destination wedding or romantic getaway with a simple & fun interactive quiz; this saves me hours of prep work trying to help them decide on a destination or two! It has also been an amazing tool to generate hard leads through social media! I recently ran a FB ad campaign where they had to sign up to take their honeymoon for a 'test drive'..I received 7 great leads from the campaign (4 will travel in late 2018), and booked 3 for 2017 just with a small $25.00 investment."